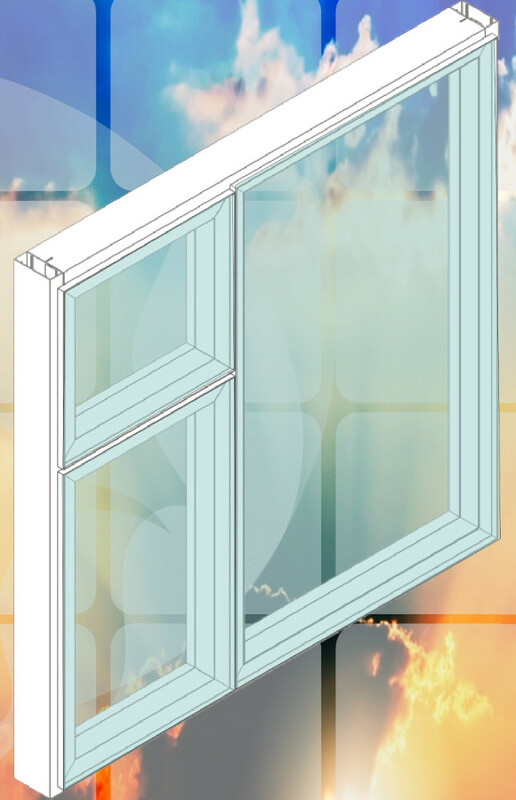 The Crealco Casement 41 (41mm outer frame) is a projected top and side hung window suitable for residential and commercial applications. The Crealco Casement 41 window offers various window configurations to best suit your fenestration requirements. 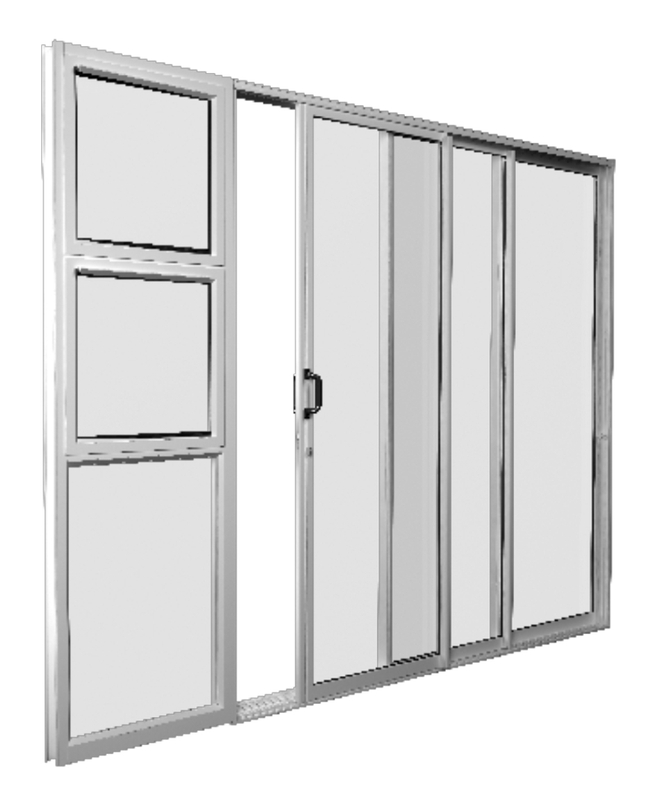 The maximum permissible sizes for the Casement 41 top hung opening pane is 1500mm x 1200m (w x h) and for a side hung opening pane is 700mm x 1500mm (w x h). The Crealco Edge is the first thermally broken window designed in South Africa, for the South African market. The Edge is a projected top and side hung window system, designed for both residential and commercial markets, The Crealco Edge is a step above the rest when looking for design options for your energy efficient home or office. The window helps keep your home warm during the winter and cool in summer when used in conjunction with the appropriate glass. 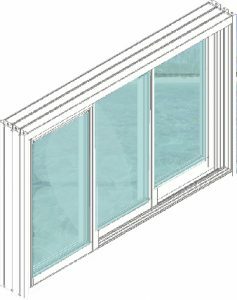 The Crealco Casement 30.5 (30.5mm outer frame) Aluminium Window is a project top and side hung window system for the residential market. The Casement 30.5 window offers a diversity of window configurations to best suit your specific building requirements. 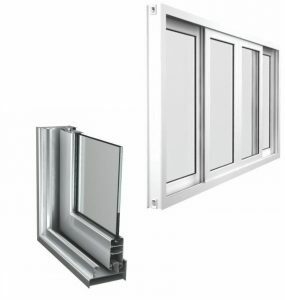 The Casement 30.5 Aluminium Window is limited to the following vent sizes: Maximum top hung vent dimensions of 1000mm x 750mm and maximum side hung vent dimensions of 600mm x 1200mm. 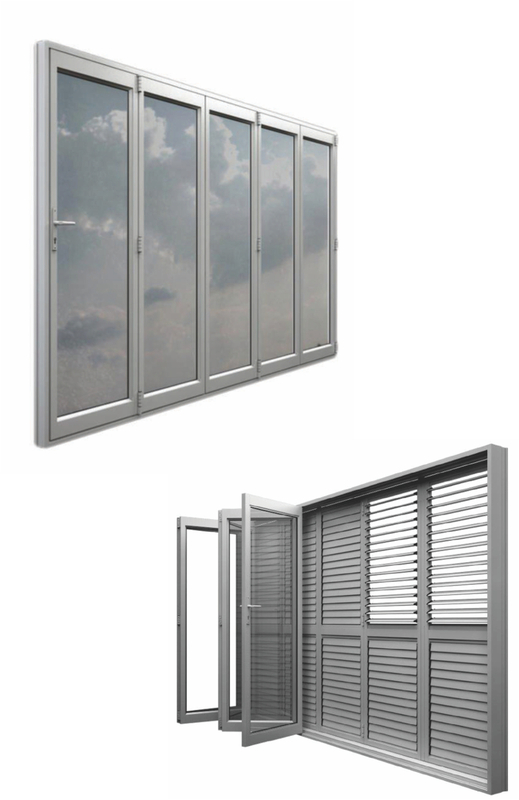 The Crealco Serene tilt and turn window and door system is the latest European style aluminum system to be manufactured with high-quality Roto hardware. This versatile system is characterized by broad, smooth, rounded edges and beautifully finished to create a modern, sophisticated look. As part of its versatility, the Crealco Serene can be designed as a hinged door or casement window, but also as an innovative tilt and turn opening system. The distinctive inwards tilting feature allows for natural airflow. An ideal product for high-end residential and modern commercial buildings. The Crealco Casement 34 (34mm outer frame) is a projected top and side hung window suitable for both residential and commercial applications. The Crealco Casement 34 window offers window configurations to best suit your fenestration requirements. 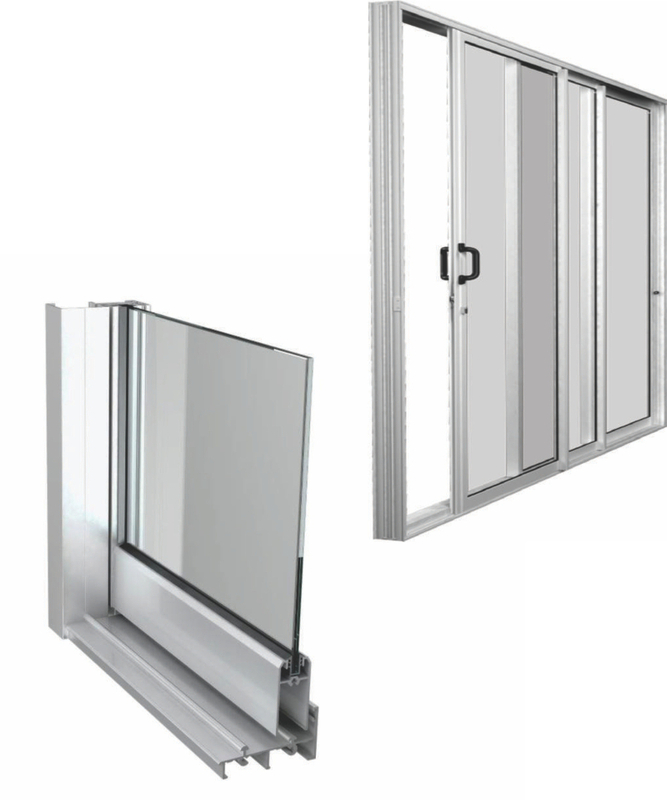 The maximum permissible sizes for the Casement 34 top hung opening pane is 1200mm x 900mm(w x h) and for a side hung opening pane is 700mm x 1500mm (w x h). The Crealco Casement 36 (36mm standard sash) is a projected top and side hung window suitable for both the residential and commercial applications. The Crealco Casement 36 window offers various window configurations to best suit your fenestration requirements. 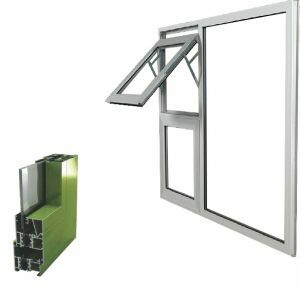 The maximum permissible sizes for the Casement 36 top hung opening pane is 1200mm x 600 (w x h) and for a side hung opening pane is 600mm x 1300mm (w x h). The Crealco Casement 38 (38mm outer frame) is a projected top and side hung window suitable for both residential and commercial applications. The Crealco Casement 38 window offers various window configurations to best suit your fenestration requirements. 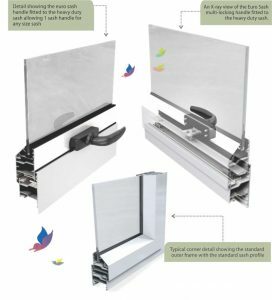 The maximum permissible sizes for the Casement 38 top hung opening pane is 1500m x 1200mm (w x h) and for a side hung opening pane 700mm x 1500mm (w x h). 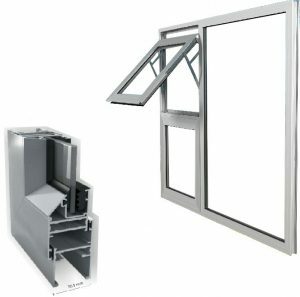 The Crealco 1000 series offers a unique and secure sliding window for both residential and commercial building application. Designed with an aesthetic rounded look the window is available in 2, 3, 4 and 6 panes; configurations. The Crealco 700 sliding door is a tried and tested domestic patio door which has been in the market for several years. 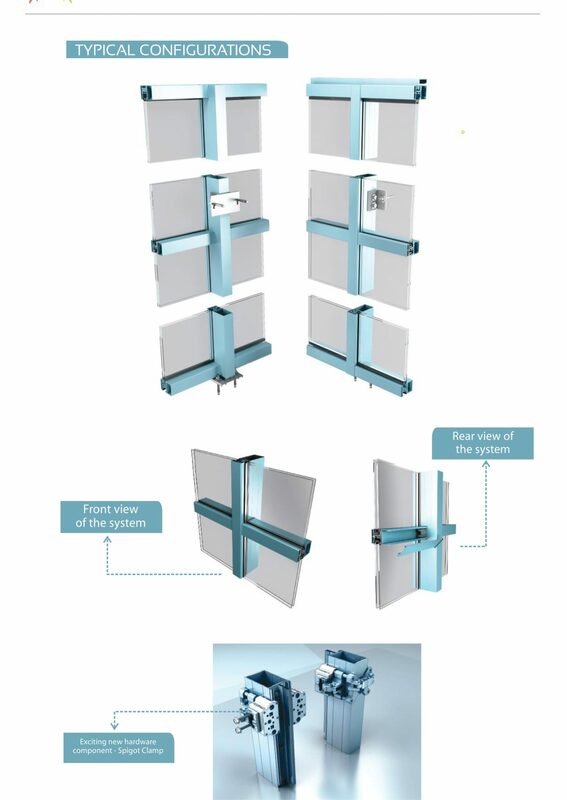 A reliable Sliding door with quality hardware designed for 2, 3, 4 or 6-panel configurations. Overall the Crealco 700 is an excellent performing patio door. The Crealco Rogue patio door is the latest domestic sliding door to be added to the Crealco range. With its beautifully balanced aesthetic features, this patio door is the most ideal and economical choice for the homeowner. The Crealco Rogue has been designed with thermal efficiency at its forefront. 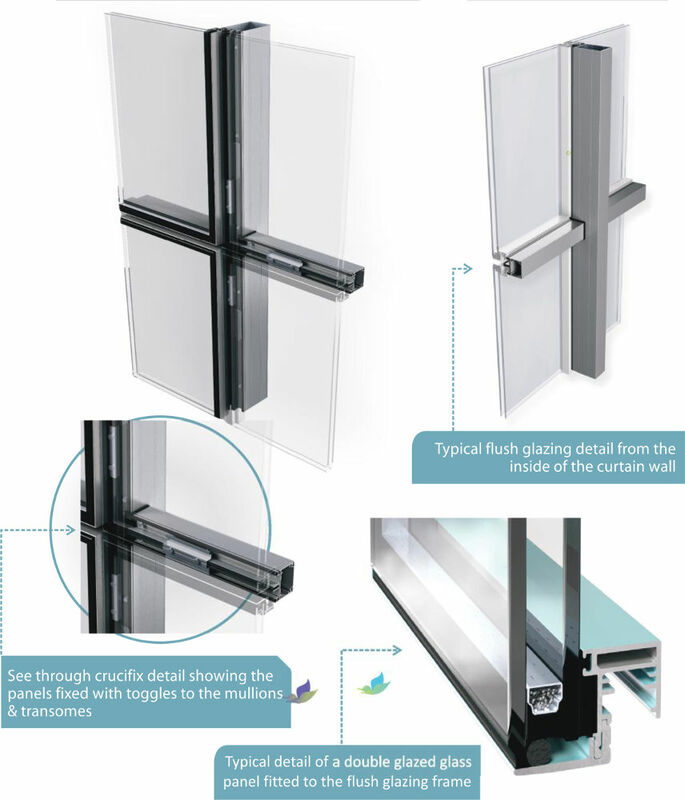 The door designed for single glazing only and can be fabricated as a 2, 3,4 or 6-panel slider. The top of the range Crealco Palace high performance sliding door is perfect for the middle to upmarket home. The Crealco Palace allows for large door openings of up to three meters high and will withstand severe wind load and weather conditions. 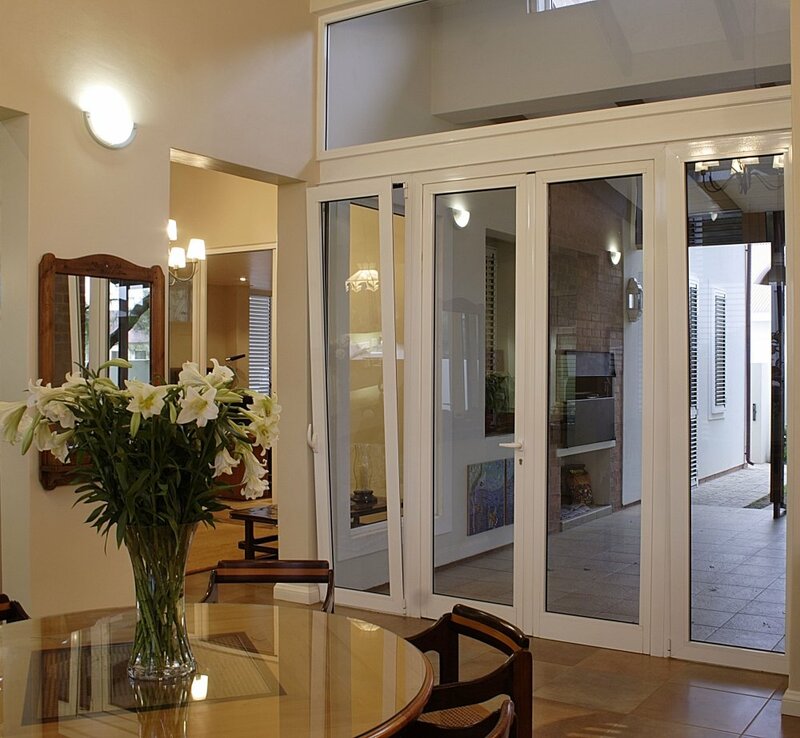 Advance Fenestration is a supplier and installer of Crealco Vista Aluminium Doors in South Africa. The Crealco Vista sliding, folding aluminum door is a modern and innovative designed system, which allows remarkable large openings, enabling you to open your space and let the outdoors in. The Crealco Vistafold aluminum door has been engineered to suit a wide range of residential, commercial and industrial applications where strength and large openings in the buildings are desired. The Crealco Vistafold has multiple panels which slide and fold effortlessly away, allowing for the smooth conversion from your interior to the outdoors. openings, enabling you to open your space and let the outdoors in. The Crealco Vistafold has been engineered to suit a wide range of residential, commercial and industrial applications where strength and large openings in the buildings are desired. The Crealco Vistafold has multiple panels which slide and fold effortlessly away, allowing for the smooth conversion from your interior to the outdoors. The Crealco Fixed Louvre (Y, Oval, Z, Lazy Z) is designed to act as protection from weather extremes. 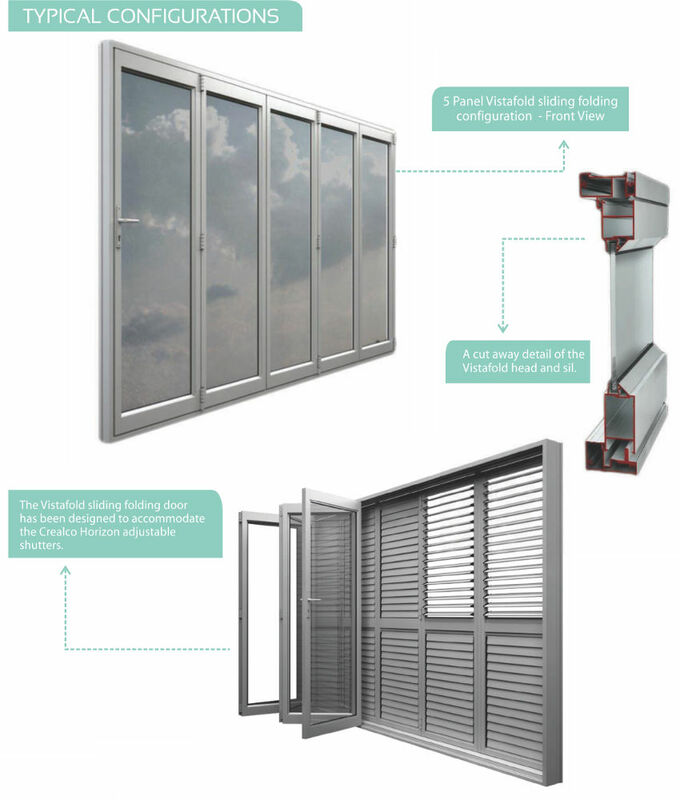 Weather conditions such as wind, rain and the heat of the sun can be controlled with the Crealco Fixed Louvre before it reaches your windows and doors. Crealco Fixed Louvre is visually pleasing, low maintenance and adds to the value of the building. The Crealco Clip 44 sliding doors is an economical and ideal solution when looking for a way to maximize the view out of your living or office space. The Crealco Clip 44 transforms any space and invites more light into the room. Coupled with top or side lights it can cover larger openings or form part of a façade or it can be incorporated as part of a shopfront feature. Unlike folding doors, these doors are not hinged together but are individual doors that lock into each other. Each door can be moved individually across the opening and 'parked'. No floor track is required thereby allowing for a level uninterrupted floor. This system is ideal for entertainment areas, restaurants, and shops etc. The Crealco Infinity glass and boardroom partition offer the flexibility to create a uniquely glazed environment within commercial building applications. The Crealco Infinity has been designed for easy installation, fitting single or double glass panels or wood veneer panels into the system. 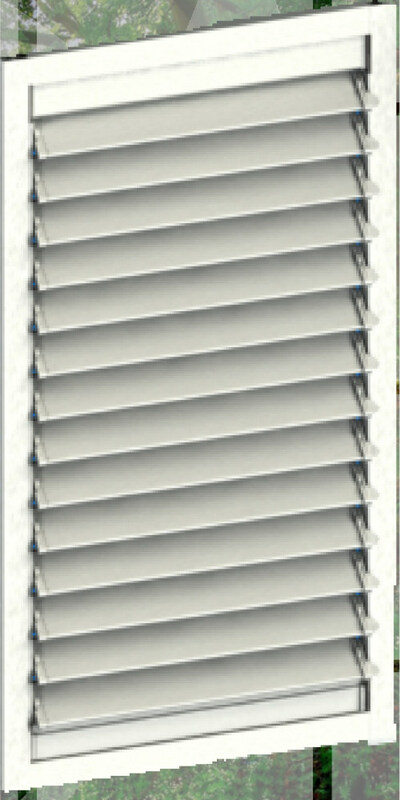 The Crealco Infinity also allows for blinds to be incorporated into the frame allowing for privacy when required. The Crealco Clip 44 shopfront is a skilfully designed aluminum shop front system, which offers a subtle and visually pleasing design to any building or store. The shopfront is ideally designed for various commercial applications such as motor showrooms, retail outlets, and shopping malls. The Clip 44 shopfront can be installed both internally and externally to a commercial building, according to your requirements. The Crealco Facade 60 flush glazed curtain wall offers a contemporary while providing architects and designers design flexibility. The flush glaze option consists of all the same features as the pressure plate system and utilizes the same mullions and transoms. 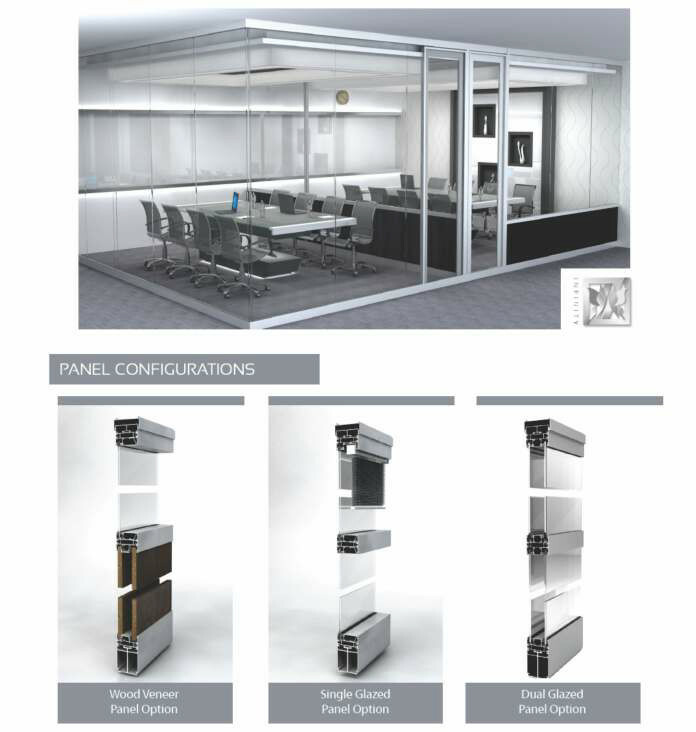 The Crealco Facade 60 curtain wall system is the latest cutting-edge product to be added to the Crealco product range. The Crealco Facade 60 is a remarkable, high-performance curtain wall system, providing manufacturers the flexibility to fabricate high-performance building solutions. The Facade 60 is uniquely designed for the South African market, with outstanding thermal efficiency properties.